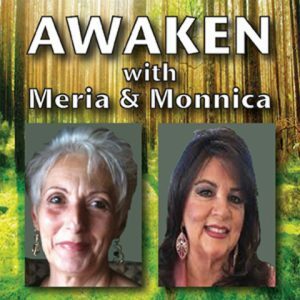 11/21/18 Awaken With Meria and Monnica. Thanksgiving is every day; what is being multi-dimensional? How to get there; how to start your day; handing our reactions to things; handling emotions; colorful gratitude journal; raise your vibration; Reiki; What is your body telling you? The American lifestyle; benefits of stem cell treatments and medical cannabis; Essiac; sending light and love; converting emotions; working with the Moon’s energies, and lots more. Thank you Meria and Monnica for this welcome and happy break from the chaos surrounding us! without spirituality we’d all go mad. You are most welcome!